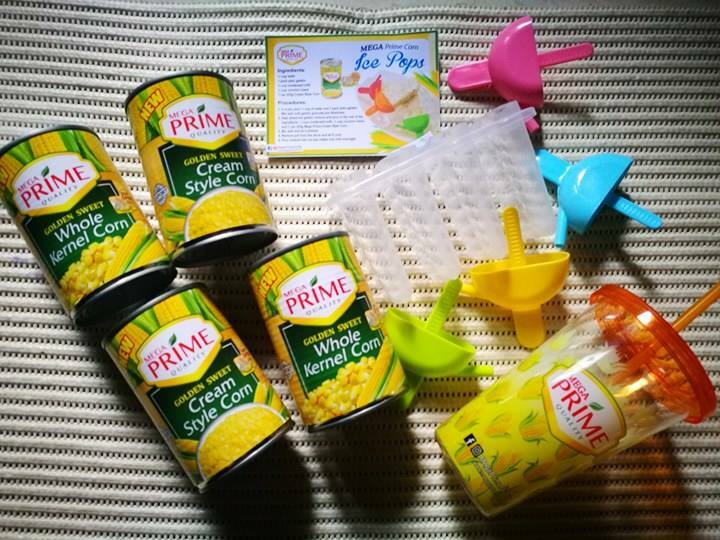 Lemon GreenTea: Treat your kids to a #PrimeSummer experience with easy-to-prepare refreshments! Treat your kids to a #PrimeSummer experience with easy-to-prepare refreshments! Summer has always been the perfect season for the ultimate family bonding experience, especially since the kids are on vacation. While you may plan and do a lot of summer activities, there are some activities at home, which can let you have a #PrimeSummer experience. One of the activities that your kids will surely enjoy is to let them help you in preparing some fun and exciting summer refreshments. It allows them to learn new stuff while satisfying your family's craving for cool drinks and snacks, as a way to beat the summer heat. Mega Prime Corn Ice Pops. If there is one thing that kids and the kids-at-heart will truly enjoy this summer, it’s the delectable corn ice-pops. 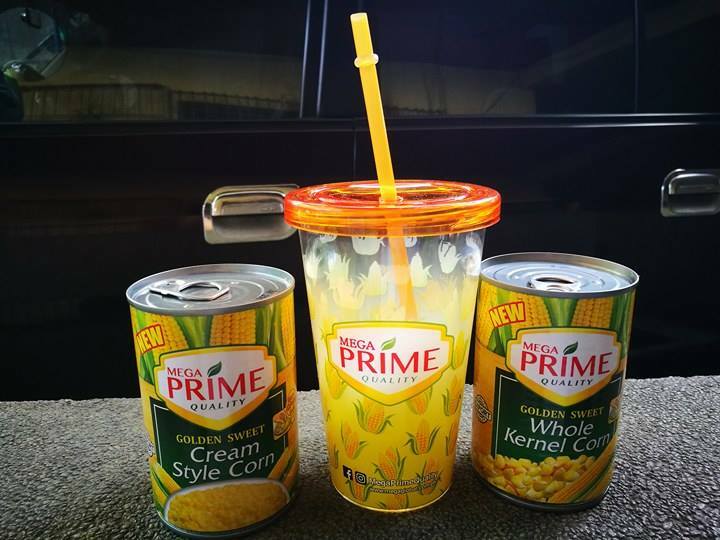 These refreshments are easy to make, especially with the easy to-open Mega Prime Cream Style Corn. 1. In a pot, pour ¼ cup of water and one pack of plain gelatin. Mix well until the gelatin granules are dissolved. 2. Heat the dissolved gelatin mixture and pour in the rest of the ingredients: ½ cup condensed milk, ½ cup coconut cream and 1 can 425g Mega Prime Cream Style Corn. Make sure that you and your kids wear pot gloves or use pot holders for safety purposes. 3. Mix well and let it simmer. 4. Remove pot from the stove and let it cool. 5. Pour mixture into ice pops maker and chill overnight. Three simple steps to follow: 1. In a blender, add all the ingredients and blend until smooth and creamy. 2. Pour into a glass or tumbler and sprinkle Mega Prime Corn Kernel on top. 3. Serve immediately. 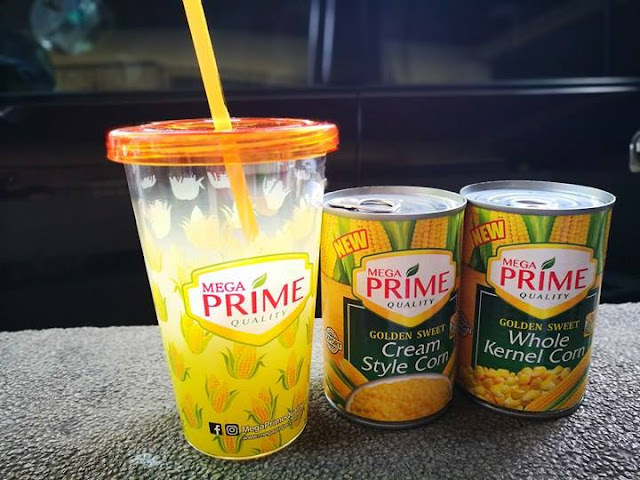 These exciting summer coolers are made one-step easier with Mega Prime Whole Kernel and Cream-style Corn, in 425-kg easy-open cans. It is an ideal partner for moms to create refreshing recipes and still have enough bonding time with their loved ones this vacation season, so that families can enjoy a #PrimeSummer! Labels: #MegaPrime Whole Kernel Corn, #PrimeSummer, Cream Style Corn.